We are a leading Wholesale Trader of tool boxes from Hyderabad, India. 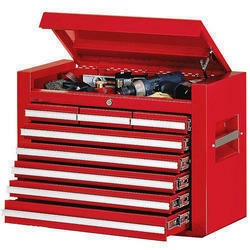 As a renowned organization, we are engaged in offering a wide range of Tool Boxes. All these products are sourced from reliable dealers of the industry after the thorough survey in the market. These products are well designed and are highly demanded by our clients. In addition, we offer our range at reasonable rates.